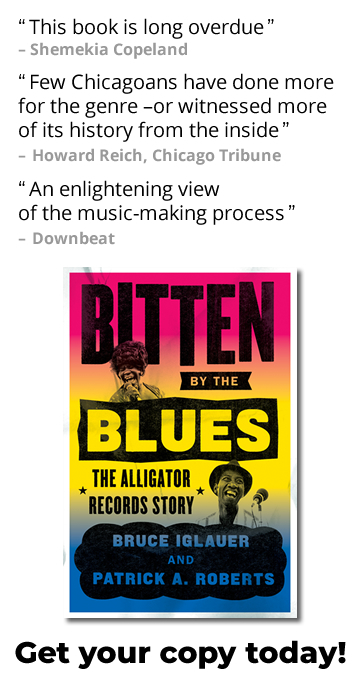 I’m thrilled that so many of Alligator’s artists have been nominated for this year’s Blues Music Awards. Longtime Alligator family member Rick Estrin, leader of Rick Estrin & The Nightcats, received seven nominations, including for B.B. King Entertainer Of The Year, Album Of The Year (for Groovin’ In Greaseland) and Song Of The Year for The Blues Ain’t Goin’ Nowhere. Rick was also recognized with nominations for Best Instrumentalist –Harmonica, Traditional Blues Male Artist Of The Year and Traditional Blues Album Of The Year. Nightcats’ guitarist Kid Andersen received a nomination for Best Instrumentalist –Guitar. Both Rick Estrin & The Nightcats and The Cash Box Kings were nominated for the coveted Band Of The Year award. In addition, The Cash Box Kings’ Royal Mint and Elvin Bishop‘s Big Fun Trio were nominated for Traditional Blues Album Of The Year. Young visionary Selwyn Birchwood received nominations for Contemporary Blues Album Of The Year (for Pick Your Poison) and Contemporary Blues Male Artist Of The Year. Fellow groundbreaker Toronzo Cannon was also nominated for Contemporary Blues Male Artist Of The Year, while Shemekia Copeland was nominated as Contemporary Blues Female Artist Of The Year. And vocalist/harpist extraordinaire Curtis Salgado received a nod in the Soul Blues Male Artist Of The Year category. Wow! 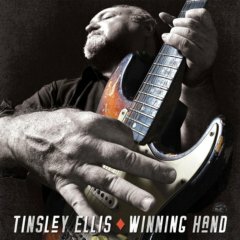 Just last week we released Tinsley Ellis’ powerhouse blues-rock album Winning Hand and Curtis Salgado & Alan Hager’s semi-acoustic masterpiece Rough Cut. Tinsley is wowing audiences on a four-month coast to coast tour. 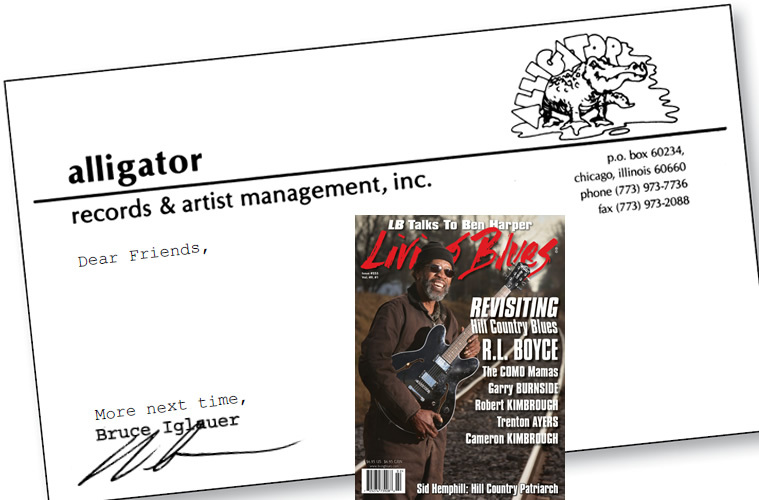 Check his dates in the On Tour section at alligator.com to see when he’s hitting your area. Winning Hand is full of tough new original songs and gritty vocals, along with some of most intense guitar playing you’ve heard in a long time. Tinsley’s a monster player but he doesn’t play a million notes and his solos actually tell a story. He knows how to keep the blues in blues-rock. 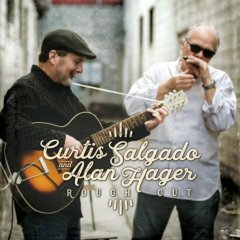 True blues fans clearly love Rough Cut’s interplay of Curtis Salgado’s vocals and harp and Alan Hager’s guitar, on songs that range from subtle and introspective to rollicking and raucous. There are six new originals along with deep versions of classics by Son House, Sonny Boy Williamson, Big Bill Broonzy and others. The “hit” is Curtis’ smile-inducing I Want My Dog To Live Longer (The Greatest Wish). Dog lovers can send a picture of their prized pooch to yourdog@allig.com and we’ll put it in a YouTube video of the song. Of course you can hear tracks from both Winning Hand and Rough Cut on our jukebox at alligator.com and find downloadable tracks on our “Free Stuff” page. Every once in a while I’m presented with a new album that is so strong that I simply must release it on Alligator. 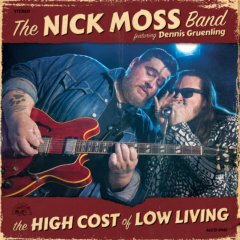 Nick Moss, one of Chicago’s most respected guitarists and singers, has brought harmonica ace Dennis Gruenling into The Nick Moss Band. Their joyfully raw new album, produced by Nick and Kid Andersen, is called The High Cost Of Low Living. We’ll be releasing it in early March. These guys really know the blues. Nick was schooled by Chicago legends Willie “Big Eyes” Smith, Jimmy Dawkins and Jimmy Rogers, all of whom recruited Nick to play in their bands. Dennis has been garnering a reputation for a decade as a world class harp player in the James Cotton tradition. He and Nick play off of each other with explosive energy and true Windy City feeling, backed by Nick’s top-notch band. The album is full of their hard-edged original songs. And speaking of the Blues Music Awards, The Nick Moss Band is nominated for Band Of The Year and Dennis is nominated for Best Instrumentalist –Harmonica. I just returned from the 2018 International Blues Challenge in Memphis. It’s always exciting to see artists and bands I haven’t heard before and hopefully to get a glimpse into the future of the blues. This year’s Solo/Duo and Band winners both gave outstanding, charismatic performances. Acoustic guitarist/harpist/songwriter Kevin “B.F.” Burt from Iowa and the tight, horn-driven Keeshea Pratt Band from Houston are definitely ready for national and international stages. I also heard some of the great showcases by up-and-coming young musicians from the Blues Foundation’s Generation Blues program. Thanks to the Foundation for doing such a good job presenting an event that puts both established local/regional artists and newcomers into the national spotlight.